Phottix has released a new firmware update, v1.06, for the Odin Wireless i-TTL Trigger. As well as fixing a few bugs, the firmware adds the ability to use the Phottix Odin with incident light meters. “Pressing the Test button on the transmitter will cause the flashes in A, B and C groups to fire simultaneously. Group(s) turned off will not fire,” wrote Phottix on their web site. But the biggest addition is Overdrive Sync (ODS), a feature already available in the Phottix Odin for Canon. With ODS, the photographer can customise and fine-tune the triggering delay times from the Odin TCU to increase the effect X-Sync speed with manual flashguns and studio lights. The company warns that “this is a beta function” and not to get “too excited” as the optimal sync speed with studio lights depends on many different factors. Phottix’s Odin TTL trigger currently retails for around $399 in the US or £299 in the UK for a twin-receiver set. The firmware update is free. 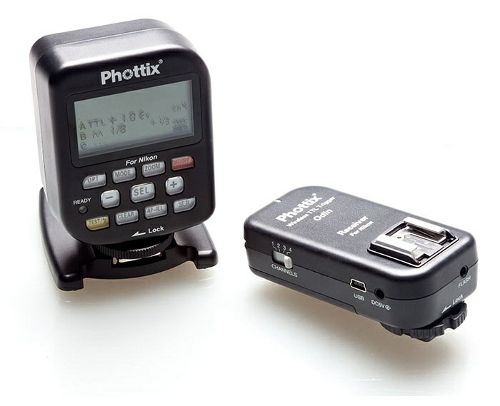 For full details and to download the update, visit the Phottix Journal.